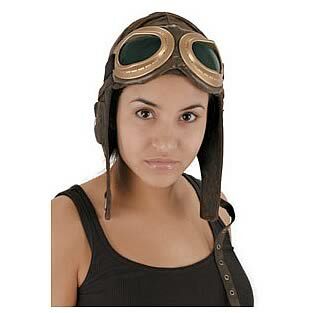 Join the retro-future world of Steampunk, with this Brown Aviator Hat! Inspired by a melding of Victorian-era Britain and the fantastical designs of authors like H.G. Wells and Jules Verne, this is the classic aviator cap worn by World War I American pilots. The perfect addition to your steampunk costume! One size fits most adults. Goggles sold separately. Order yours today! Ages 14 and up.